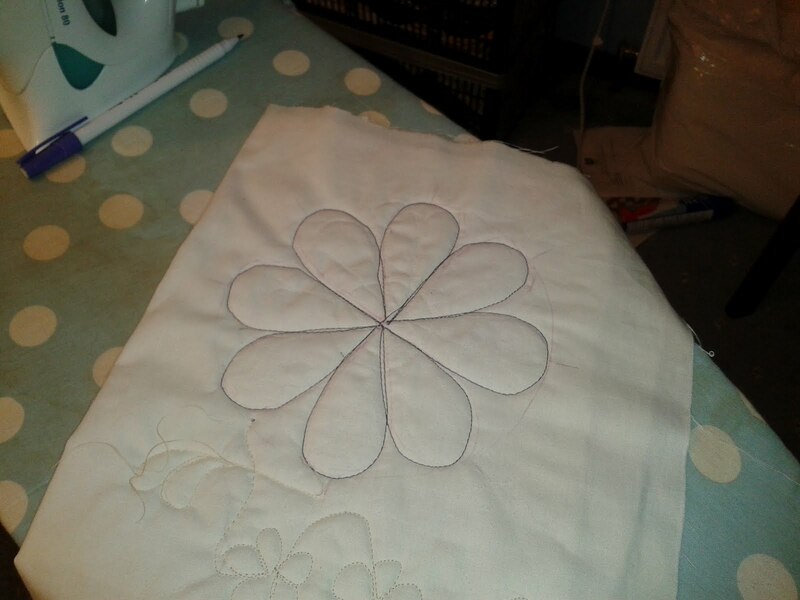 I seem to have done nothing at all this week, but then again, I've made quilting decisions and had a practice with my FMQ, so it's not been time wasted. So tonight I've had a final session with a practice piece, and now I am ready to get stuck in quilting Mum's Quilt. These flowers in the blocks, daisy chains up the sashing and borders, little three leaf motifs on the cream block backgrounds. Your daisy looks fabulous, and the daisy chains will really complement them. For the cream, either the 3 leaf motif or ivy would look good and all tie in with the flowers. I like your daisies; so cheerful. The ivy leaves are fun to sew and look nice. I admire your attention to detail. I think your careful planning is why your finished quilts look so well done. Any week that goes by when everyone is okay and everything is as it should be (aka the house is where you left it) is a good week. My husband loves having three days off in a row, and I like it too, but... With DD at school five days that's five days I have to sew, clean, etc. Then cut three off days for DH... And before I know it you know what I'm stuck with? One cleaning day and one rest day. Good thing I love them so much. Thanks for your kind words, girls! I love the idea of a good week being when 'the house is where you left it', S&S - that really made me laugh!